I have been under the weather since returning from Costa Rica. I have been doing my best to rest. On Saturday, I made some homemade chicken soup, it was so delicious while cutting the vegetables, I injured my hand. Its bruised, swollen and I can hardly move it UGH! and of course its my right hand that I use for everything. Needless to say, I stayed in my PJs all weekend and I am not complaining about it. 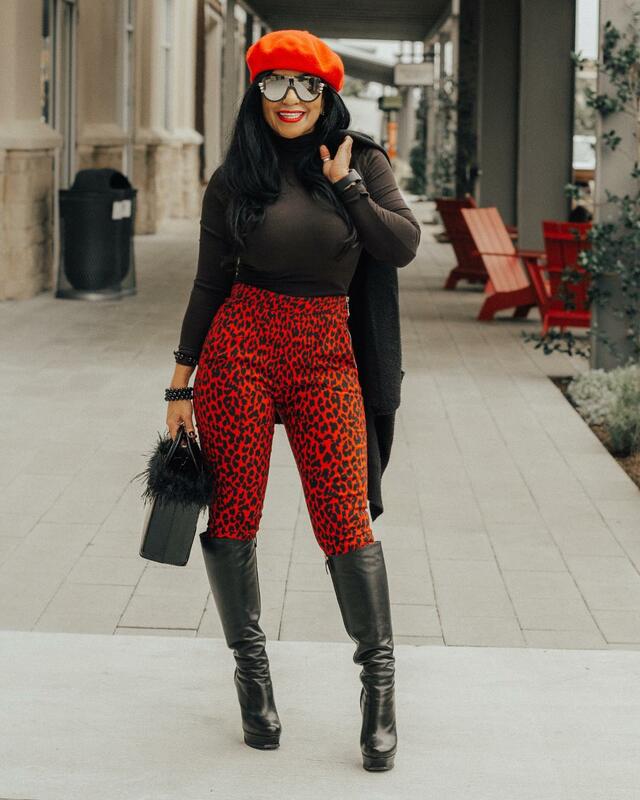 After posting my pic with the red leopard pants, I received quite a few requests for outfit details so I decided to do a look of the day post with all the details for yall. Stay tuned to PLG for more holiday shopping coming soon. Next Post CBD Oil: Does it really work? 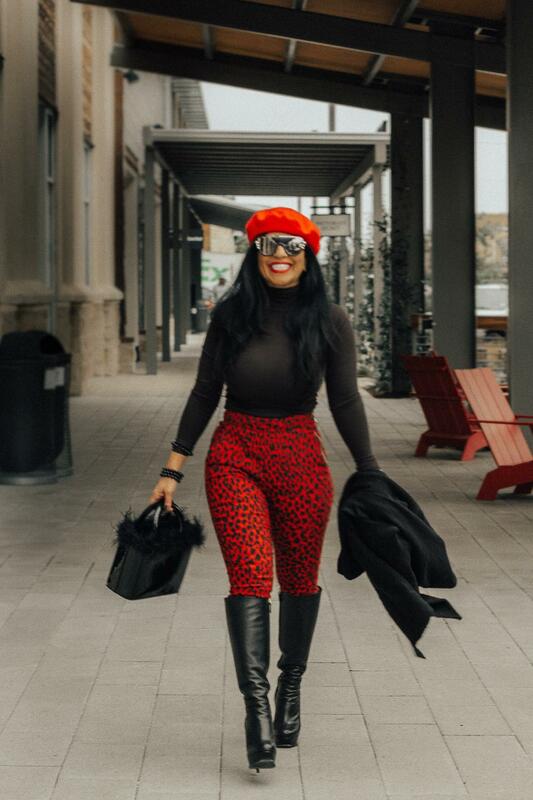 So stylish!! Love you Johanna! Great post! 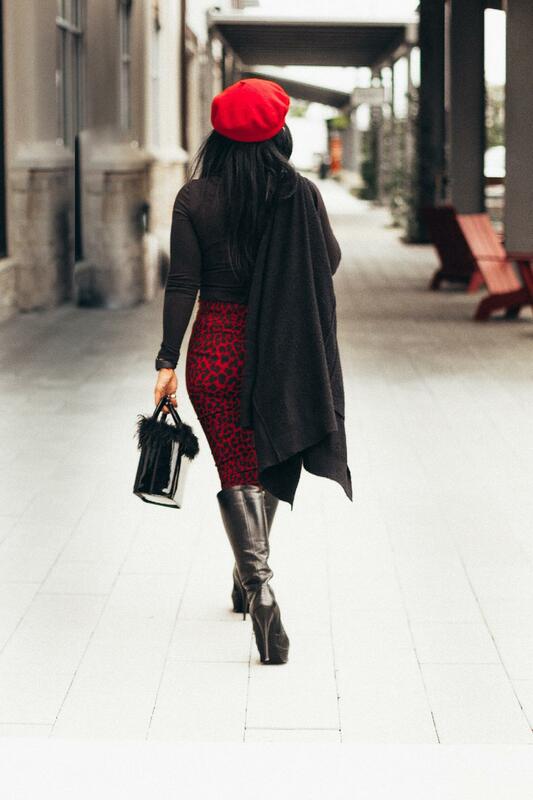 I love the red beret with the leopard pants, so cute!